As an integral member of the Global Public Relations Team, the EMEA PR Manager provides strategic public relations services to EMEA-based PR offices, partners and agencies within the territory to generate positive and high impact media coverage for ESET products, research and corporate image. This is a unique opportunity located at the global Headquarters of ESET, Europe’s largest cyber-security company. The EMEA PR role includes attractive career progression opportunities in public relations and beyond. Basic wage component (gross) and other rewards: from 3000 EUR *The final basic wage component can be adjusted accordingly to individual skills and experience of selected candidate. We are looking for a talented and passionate individual experienced in IT technology or software company with motivation to build great security solutions for business customers. Global Marketing Programs specialist is in charge of overall strategic concept development for various global marketing programs, events, campaigns and activities worldwide. Our Finance Division is looking for a skilled Senior Financial Controller to operate in the international environment. We are looking for a confident self-starter with good attention to detail, strong analytical skills and hands on approach. We’re on the hunt for a PPC master to join ESET’s Global Online Marketing team. Maybe you’re working for a digital agency and would like to move to an in-house team? We would love to hear from you. Note: Position is a maternity leave replacement. 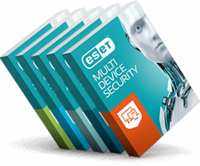 Join ESET’s global team of digital enthusiasts! We’re driving ESET’s online presence from Japan through United Kingdom to Argentina. Become the specialist in Web Production across diverse set of websites, landing pages, and campaigns – globally. We’re looking for a motivated web specialist with background in UX and frontend technologies. You’ll be in touch with our Digital, Development, Marketing, and Sales colleagues and have your say in how web initiatives are created, tested, and launched – globally. We need you to have an eye for details, yet still see the big picture of digital business. If you’re data-driven, empathic, creative, and your English is fluent, this might be the position for you. On top of ESET’s regular employee perks, we offer an engaging, ingenious, and impactful job – globally. Market Research Intern assists members of the Research team in a variety of Market Research activities. She/he provides support for selected tasks, mainly preparation, execution and evaluation of research projects, data analysis and interpretation of results as well as various Market Intelligence-related activities.